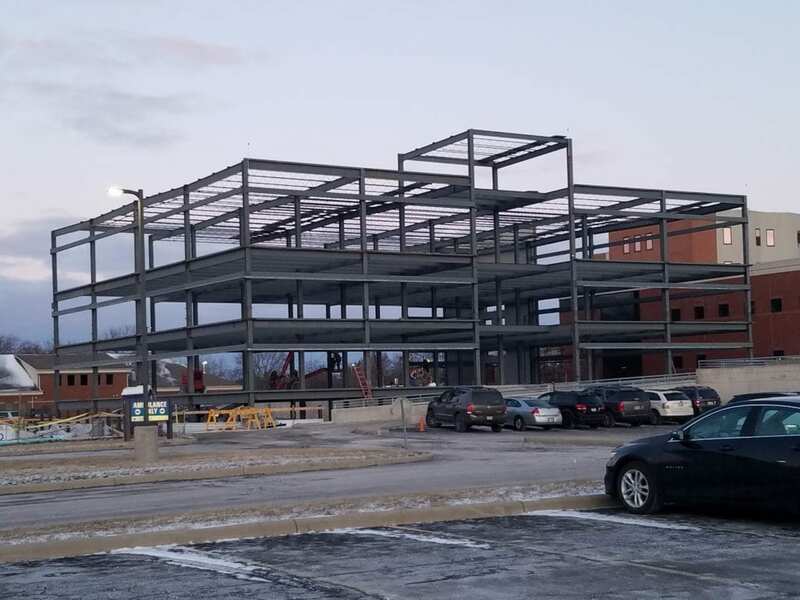 Swanton Welding was tasked with fabricating the steel framework for the new Fulton County Hospital addition in Wauseon, Ohio. We appreciated the opportunity to support Rupp/Rosebrock, Inc. and their construction crews as they constructed a four-story medical building that will attach to Fulton County Hospital. The team at Swanton Welding used our beam line to increase speed and accuracy on the project. We supplied all structural steel components for the project, including framing, stairs, handrails, joist, and deck. The project was fabricated in sequences to meet the construction timelines.